The Relief Teacher: Merry Christmas! With Christmas only one week away it's time to give away some Christmas freebies! 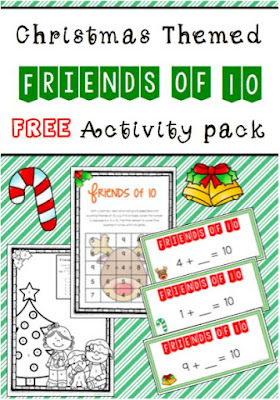 Check out this Christmas Themed Friends of 10 Activity Pack - just print and laminate to use again and again.